Some would argue that Microsoft’s new Surface Book is an engineering marvel; the perfect hybrid, if you will. While that may very well be the case, Microsoft had to make some compromises in terms of design to do so as iFixit recently found out. 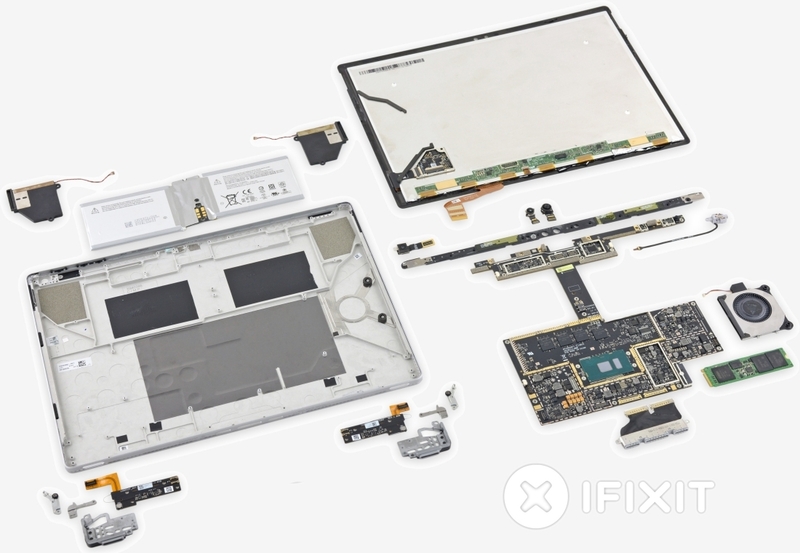 The teardown specialists ripped into the new Surface Book intent on determining just how easy or difficult it would be to repair. Things got off to a pretty slow start as the Surface Book is just as difficult to open as other products in the Surface line, first requiring careful removal of the display. Once past the first line of defense, iFixit discovered that the motherboard is positioned upside-down, a situation described as a “nightmare.” Nevertheless, the team pressed on only to find that the processor and RAM are soldered directly to the motherboard. Microsoft’s liberal use of adhesive to hold many of the Book’s components in place didn’t sit well with the crew, either. All said and done, the Surface Book earned a repairability score of 1 out of 10 (with 10 being the easiest to repair). So in other words, the Surface Book got the worst possible score from iFixit. Not all hope is lost, however, as it is possible to replace the solid state drive and battery – but only after going through hell to get them out.